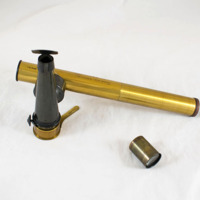 Beale self-illuminating ophthalmoscope, in wooden case, c 1860s-c 1880s. 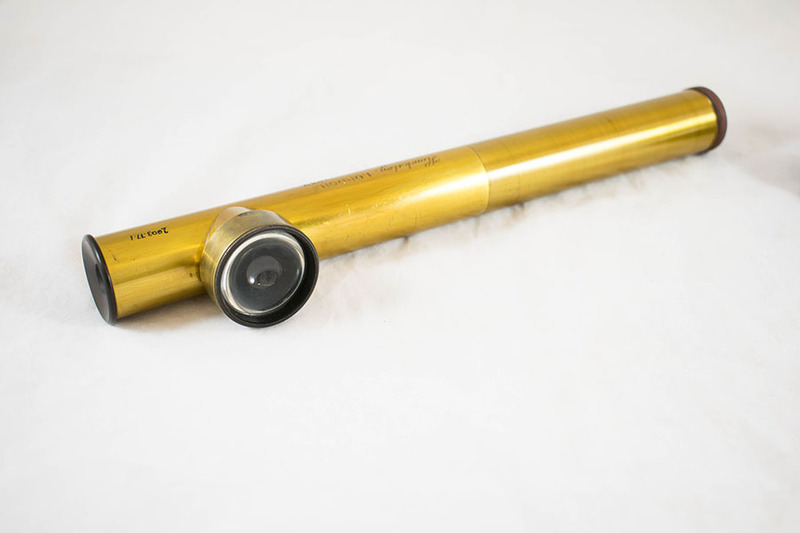 This self-illuminating ophthalmoscope dates from the late 19th century and was invented by Lionel Beale, a British physician working in London. 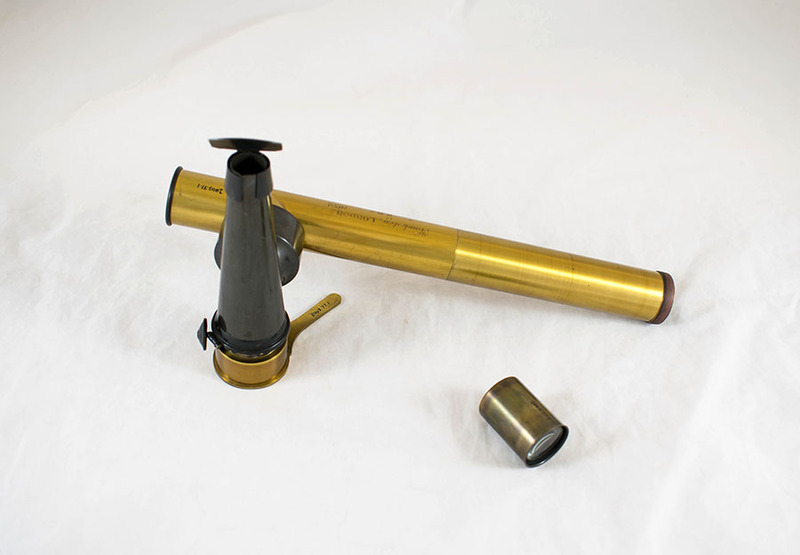 The ophthalmoscope was illuminated by a flame, kept alight by a spirit burner contained within the stand of the instrument. 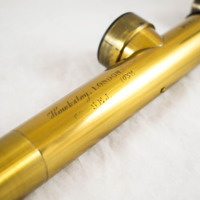 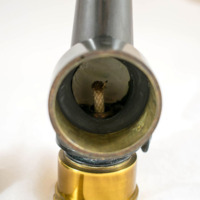 Lionel Beale, manufactured by Hawksley of London, “Beale's Self-Illuminating Ophthalmoscope,” Heritage, accessed April 23, 2019, https://heritage.rcpsg.ac.uk/items/show/163. 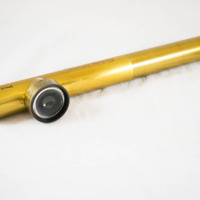 Description: Beale self-illuminating ophthalmoscope, in wooden case, c 1860s-c 1880s. 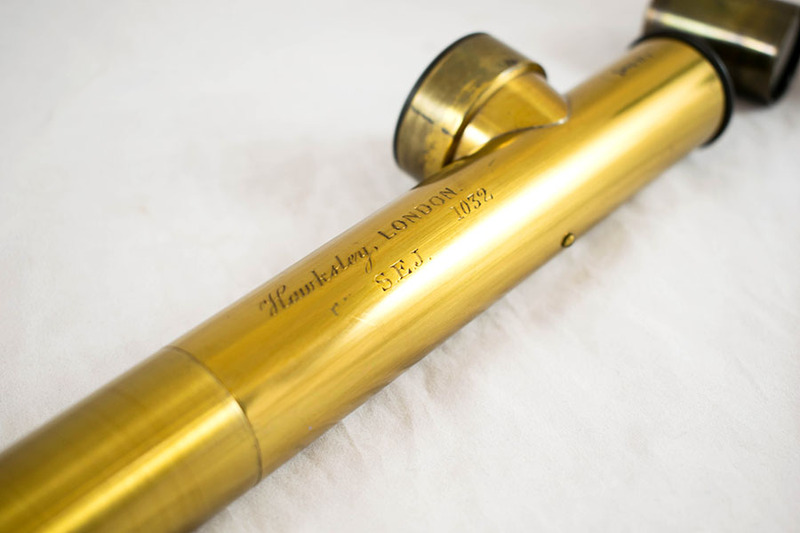 This self-illuminating ophthalmoscope dates from the late 19th century and was invented by Lionel Beale, a British physician working in London. 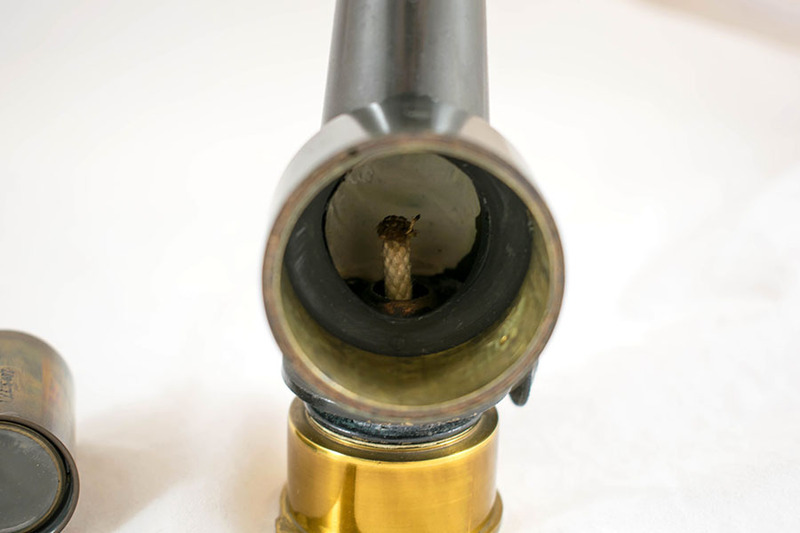 The ophthalmoscope was illuminated by a flame, kept alight by a spirit burner contained within the stand of the instrument.